24-hour forecast: Sunny with cloudy spells today nad partly cloudy skies tonight. A few showers will occur along coastal areas this morning then mainly inland this afternoon. Winds: East - northeast at 5-15 knots. Today: Winds: NE 5-15 kt. ; seas: Choppy; waves: 2-4 ft.; a few showers (mainly north). Tomorrow: Winds: E/NE 5-15 kt. ; seas: Light chop -choppy. ; waves: 1-3 ft.; isolated showers. Marine Outlook: Tuesday night:- Winds: E/NE 5-15 kt. ; seas: Choppy; waves: 2-4 ft.; a few showers (mainly north). General Outlook: Through to Wednesday morning: Partly cloudy skies with generally isolated showers. Today will be fairly similar to yesterday, but there is more high level cloud causing less sun. 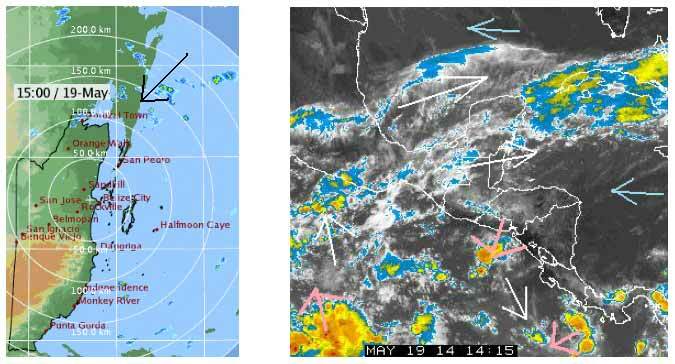 . . .. .There are isolated areas of rain, particularly up in the North Corozal and Ambergris caye areas, which is hanging around, a few very small patches of ran over the sea down south. Presently the surface wind is zero. . . ... Higher clouds are slowly moving from the West. 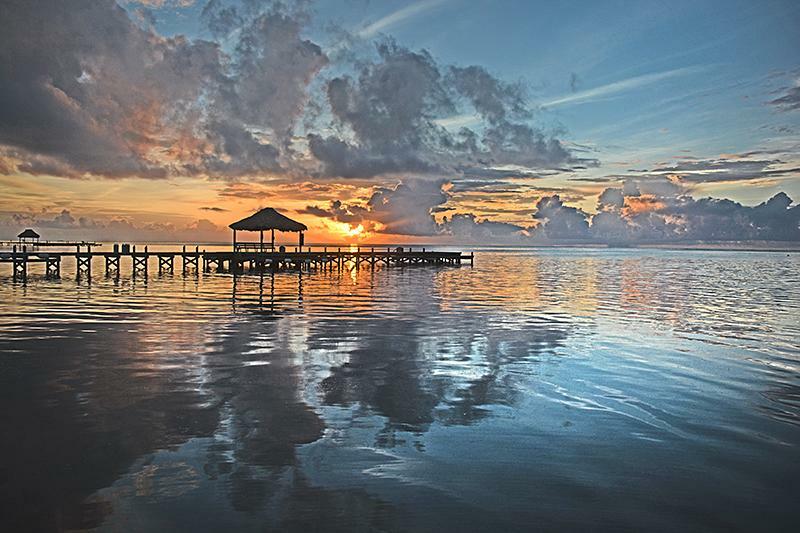 On Ambergris Caye this morning we have another perfect day. Calm sea and expected high of 88. Scattered outbreaks of rain breaking out all over the place right now and been getting more of them since this morning.